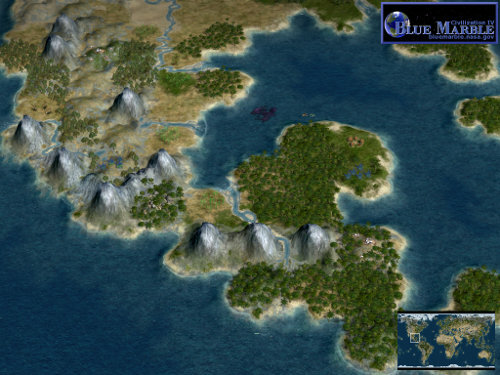 This program allows the installation of a new graphic design for Sid Meier's Civilization IV�, based on images of the NASA projects Blue Marble and Hubble, supplemented with a graphically modernized and harmonized user interface. Individual components are selectable in the setup program. You are free to distribute, install and use this software for non-commercial purposes as long as it is kept 100% free of charge and unmodified in any way. 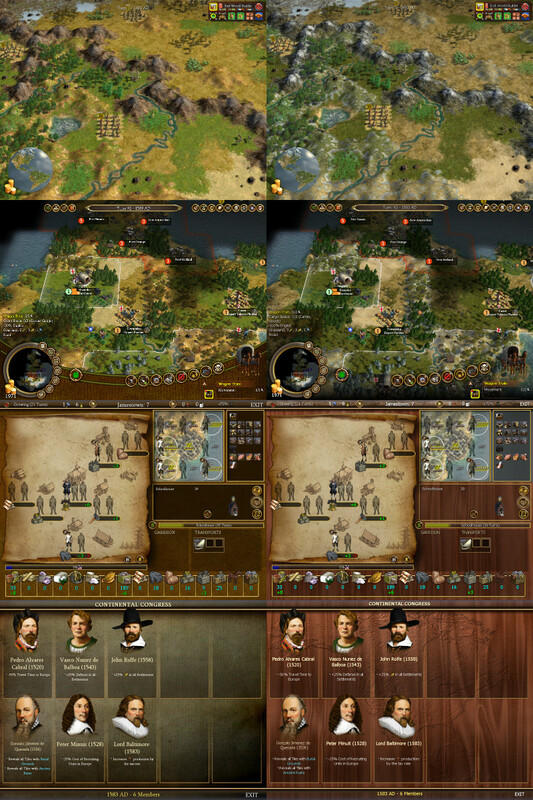 This program is compatible only with the PC CD/DVD-versions of the Civ4 basic version and the expansions 'Warlords' and 'Beyond the Sword'. If such an expansion is installed afterwards, the 'Blue Marble' program simply has to be started once again. This program is compatible only with the PC CD/DVD-versions of the program. 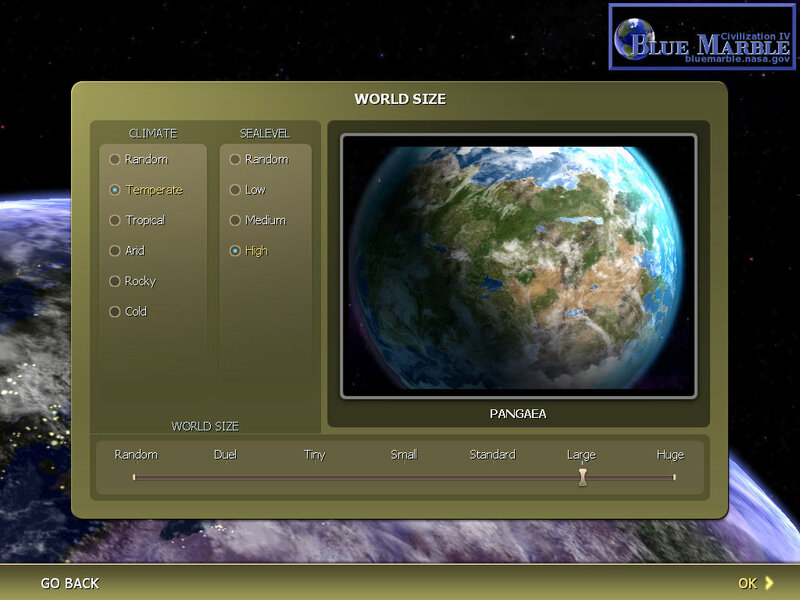 NASA's Blue Marble project presents freely available photorealistic maps of our planet Earth. Since the seventies earth observation satellites have recorded data of our atmosphere, the oceans and the land surface to improve our understanding of the Earth as a system. These datasets are usually not publicly accessible and they are only available as scientific file types. Therefore the Blue Marble project produces high resolution maps in false-color and true-color formats from the scientific satellite data. This allows the user to become a discoverer and to investigate our planet from space. With these products we would like to stimulate the public interest for matters of the environment and also express the importance of unmanned satellite missions carried out by the NASA and other space organizations. The Blue Marble "Next generation" is the latest product of the series, showing a cloudless Earth in 12 monthly variations: the beginning of spring, dry spells, snow cover changes, vegetation coloring and rainy seasons all are dynamic processes in our climate system. 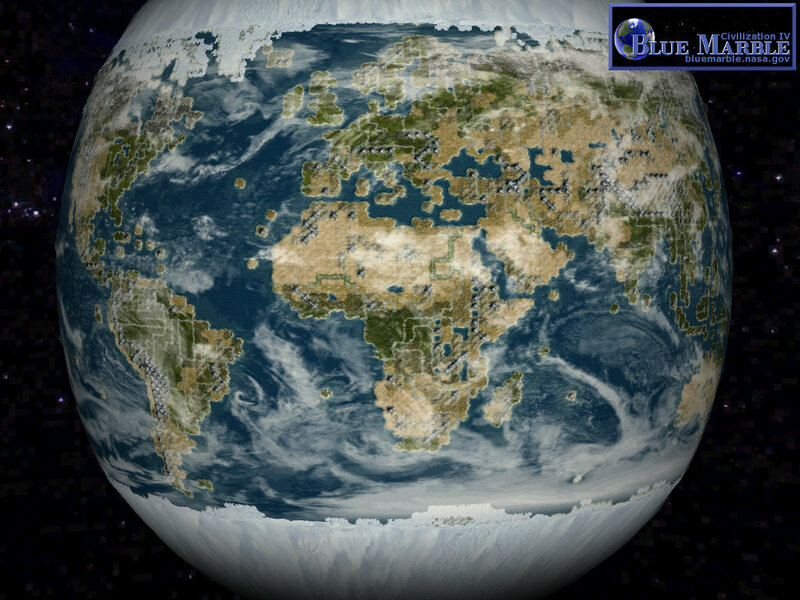 The monthly satellite maps are available under bluemarble.nasa.gov. 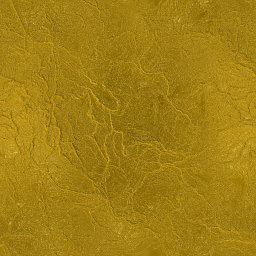 texture set modelled from this material. Have a lot of fun with it! Preserve our history, our earth, our future.